They give free soju-Yakult shots when the clock strikes midnight. 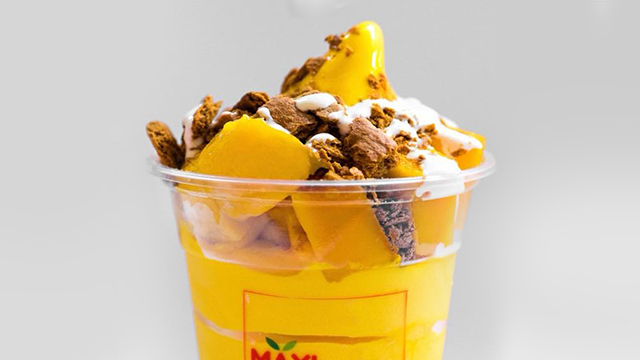 Open daily from 11 a.m. to 3 a.m.
(SPOT.ph) Yakult may not actually be a “Korean yogurt smoothie” like they call it on Netflix’s To All the Boys I’ve Loved Before (it’s actually Japanese!) but that doesn’t mean the tiny drink isn’t huge in South Korea. 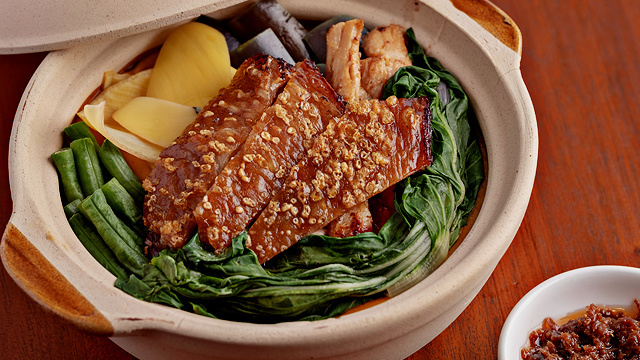 In fact, pairing Yakult and soju is probably as Korean as kimchi and samgyupsal. The Odd Seoul highlights this combo in their fun cocktail menu. 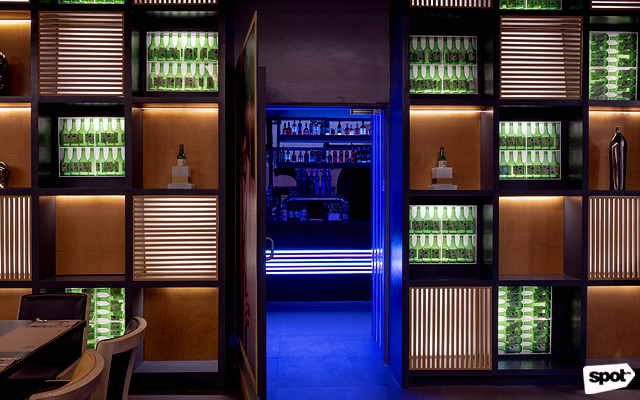 They’re hidden inside Korean restaurant Gaja and the contrast couldn't be starker—if Gaja is bright and Zen-like, The Odd Seoul is hip and a bit edgier, with neon lights and remixed versions of Gaja’s accent art pieces. 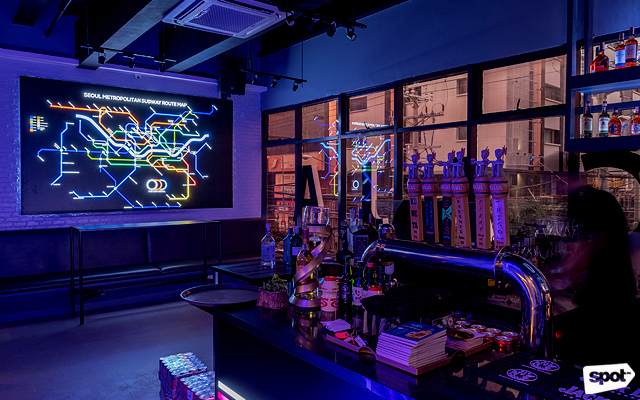 What’s sure to draw your attention, though, is the neon-lit map of Seoul’s train system. South Korea isn’t just known for Yakult and soju—they’re starting to get a reputation for some pretty wild parties, too. Lim shares that they partied in South Korea before opening The Odd Seoul: “Every time we open a bar, we make sure to party hard first.” With three successful bars—RM 16, Thirsty Barber, and Churchill—under his belt, it looks like their “research” produces winning results. 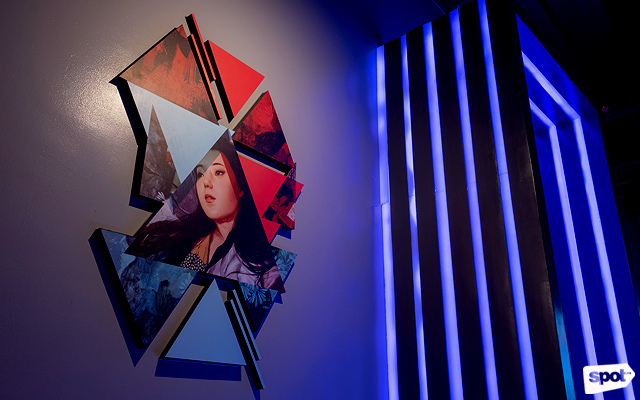 Partying in Gangnam didn’t just open the team’s eyes to the district’s lively night culture—it also exposed their taste buds to Korea’s offbeat yet tasty street food, which they highlighted in The Odd Seoul’s bar chow. The K-Dog is filling snack that pairs well with a chill sour cocktail. The K-Dog (P90) is their version of the popular Korean corn dog. Just as it's done in Seoul, the hotdogs are wrapped in French fries before being deep-fried and then topped with a spicy barbecue sauce. The potatoes give this corndog a pillowy-soft texture that contrasts with the snap of the sausages and the crunch of its breaded crust. And it brings together hotdogs and French fries: What’s not to love? Once you start munching on the Spam Fries, you won't be able to stop. The KFR Balls are crispy balls that explode with sour-spicy flavor. The Spam Fries (P250) are super easy to munch on, with the salty bite of the Spam itself and the crunchy ramyeon noodles they’re wrapped in. Equally bite-sized yet packed in flavor are the KFR Balls (P280). 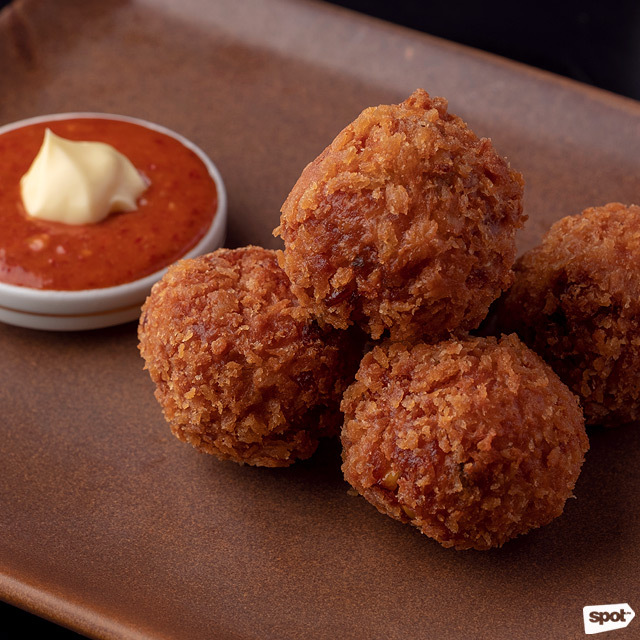 A cross between the Italian arancini and kimchi fried rice, these balls are stuffed with the spicy-sour fried rice plus Spam, and gooey mozzarella cheese. With bar chow that’s chock full of punchy flavors, refreshing, buzzy drinks are required. If you’re with a group, the Soju Shooters are a must: The signature Gaja Bomb (P250) are shots of soju, sour apple, tequila, and aloe vera juice lined up for you and your friends to chug. This goes down smoothly but the mix is a killer. The Kimchi Sour is a Korean twist on a classic cocktail. The Yogurt Lady is perfect if you have a sweet tooth. 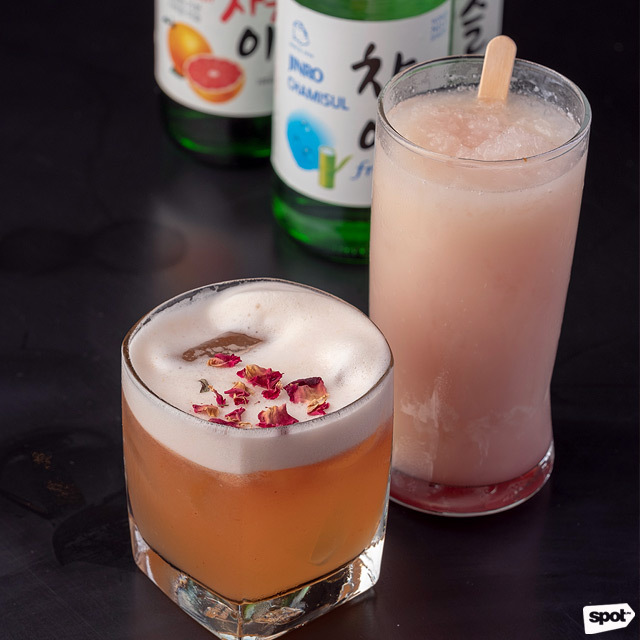 If you’d rather chill with cocktails, The Odd Seoul has fun ones, too, inspired by Korean snacks. The Kimchi Sour (P280) is fresh and crisp, using kimchi to add that distinct sour tang to a mix of soju, lemon juice, egg white, and almonds. 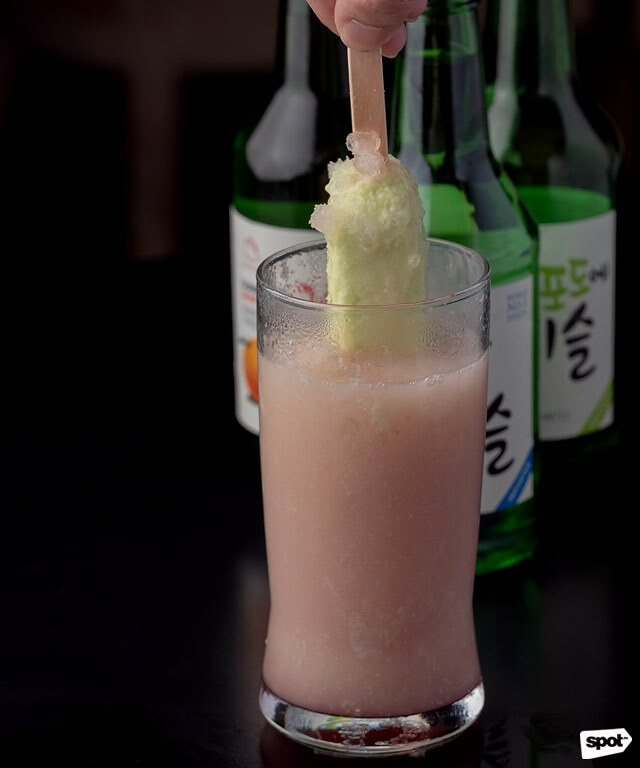 The Yogurt Lady (P250), on the other hand, is a mellow drink that takes the Yakult-and-soju pairing to the next level: For one, it comes with a Melona melon-flavored ice pop dunked inside your drink! The mix of soju, vodka, Yakult, aloe vera juice, and the Melona makes for an enjoyable fruity drink. With fun music (sometimes they throw in some K-Pop) and creatively terrific drinks and chow, The Odd Seoul is channeling that “party hard” attitude. Plus, Lim shares a tip: “Every midnight, we ring a cowbell and give out free soju shots to everyone.” We hope you’re ready for the morning-after hangover.